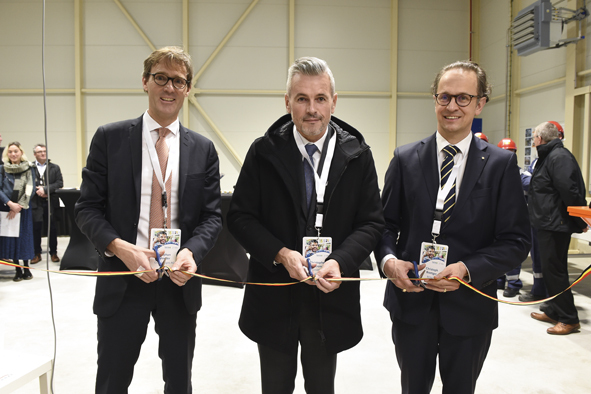 04 Mar 2019 --- Beneo has inaugurated its new Belgium-based BioWanze plant for texturized wheat protein (TWP), in cooperation with fellow Südzucker Group subsidiary CropEnergies. The move follows an investment of €4.3 million. BioWanze is a daughter company of CropEnergies and is the largest producer of bio-ethanol in Belgium. When running at full capacity, the plant will be capable of producing enough TWP to create 1 million vegetarian burger patties per day. Click to EnlargeExtruder at Beneo's new Wanze TWP facility. The produced vegetable protein is based on wheat flour, wheat protein/gluten and water. With a neutral taste and a stable texture, the product is capable of substituting meat in products such as burgers, nuggets and Bolognese. “This move fits perfectly within Beneo’s approach of focusing on both the health and technological benefits of our ingredients,” explains Boettger. Recent moves illustrate how Beneo has significantly evolved beyond its positioning as a functional carbohydrate supplier in recent years. “We have already had functional fibers, functional carbohydrates, rice ingredients and functional proteins in our portfolio for several years. Marketing pure gluten was a first step. Providing more functionality to that existing protein is the next step in further expanding the portfolio,” says Boettger. The move into TWP comes despite there being several major fellow ingredient suppliers already operating in this space, including French players Tereos and Roquette. 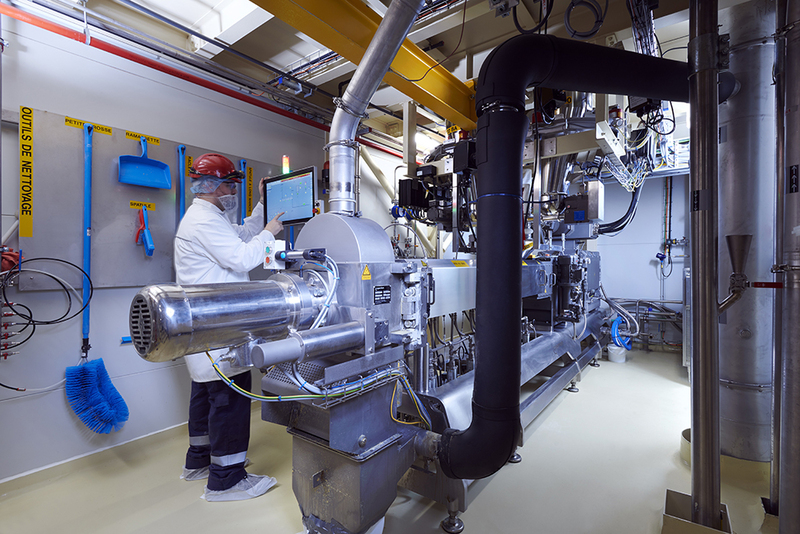 However, Boettger is confident that Beneo is not late to the game as the market is currently changing significantly towards plant and specialty proteins. 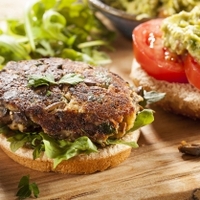 “The number of consumers who have increased their intake of vegetable proteins is about 50 percent in markets such as Germany and the UK. We are convinced that we are right on the spot for the market,” Boettger notes. Click to EnlargeRibbon cutting ceremony for Beneo Wanze facility. From left to right: Dr. Stephan Meeder (Chief Financial Officer, CropEnergies), Christophe Lacroix (Mayor of Wanze), Christoph Boettger (Member of the Executive Board, Beneo)He highlights further mainstreaming of this trend in line with the global growth in protein demand. “The UN predicted a growth in global population in the next 30 years of 2 billion people and protein consumption will grow accordingly. Additionally, if we look at growing prosperity in emerging markets, this will lead to an additional growth in protein consumption,” he says. “All in all, the protein market will grow even stronger. It is a global obligation to satisfy this protein demand in a sustainable way. This is where texturized protein can be an important contributor,” he adds. The company notes how consumers are moving toward meat substitutes, with more than one in two Europeans having increased their consumption of meat substitutes, according to a 2017 Innova Market Insights survey (2017). 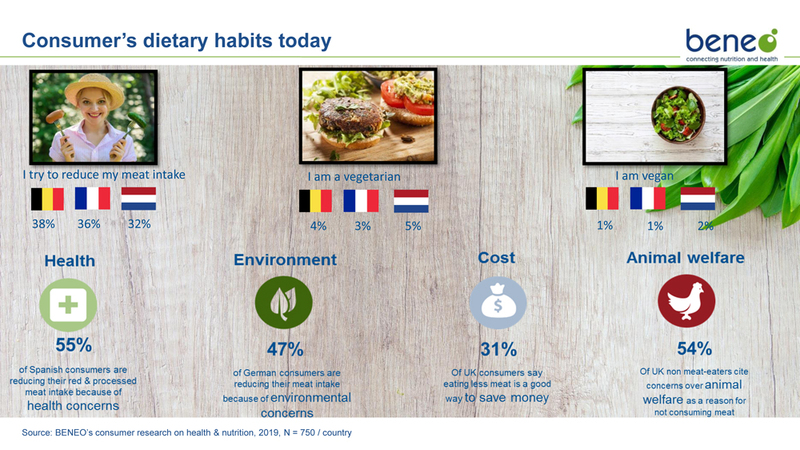 Furthermore, a 2019 BENEO consumer survey on health & nutrition (N = 750/country) found that 38 percent of Belgian consumers, 36 percent of French consumers and 32 percent of Dutch consumers were trying to reduce their meat intake. These shares of the market dwarf the numbers who are solely vegetarian (3-5 percent) or vegan (1-2 percent) in these countries, as a “flexitarian” lifestyle moves to the foreground. Key insights from the research include that 55 percent of Spanish consumers are reducing their meat intake because of health concerns and 47 percent of German consumers are reducing their meat intake because of environmental concerns. Furthermore, 31 percent of UK consumers say “eating less meat is a good way to save money,” while 54 percent of UK non-meat eaters cite concerns over animal welfare as a reason for not consuming meat. Beneo has just finalized the commissioning of the BioWanze plant, recently making their first test productions at full-scale. Now full industrial production is set to commence, just one year after the building project commenced. The factory is designed to run 24 hours a day all year round. This is the first time that Beneo has made an investment at one of its sister companies (CropEnergies), in a move aimed at reducing the environmental impact of operations. Beneo focuses on the production of specialty food ingredients, while CropEnergies is a provider of bioethanol derived from wheat. One of the co-products from bioethanol is gluten, which is marketed by Beneo under a functional proteins range. In 2010, the company launched a vital wheat gluten (VWG) product which is produced through milling and separating the VWG from the grain, before gently drying. Click to EnlargeBeneo notes how consumers are moving toward meat substitutes, illustrated by recent consumer research data.This move to wheat protein, rather than opting for pea protein, for example, utilizes Beneo’s tradition in wheat and is therefore a logical step. “We will certainly investigate whether future options exist. For the moment, we decided to start with gluten and wheat flour, which are elements of our existing product portfolio,” he adds. Boettger remains coy on whether the range of alternative proteins will be expanded moving forward, either at the new plant or elsewhere. “We are utilizing ingredients that we have in our portfolio and adding value to those by providing more functionality. That is the starting step into that market. But together with our NPD and R&D teams, we have some further ideas and are carefully following the market in terms of what is reasonable,” he says. “At first length, we are looking at the domain of vegetable proteins, because within this field there are interesting opportunities on sustainability. Our NPD team is thoroughly looking at opportunities, but those will be disclosed in due time,” he adds. Looking elsewhere, Boettger notes several other innovation platforms for the company. “We are continuing our research in functional fibers for digestive health. We are not only looking from a European perspective, but also expanding our nutritional studies to non-European markets. For example, we are currently executing digestive health trial studies in Asian populations,” he notes. Beneo offers functional ingredients derived from chicory roots, beet sugar, rice and wheat, employing almost 900 people. It has production units in Belgium, Chile, Germany and Italy. In recent years the company has taken an increasingly localized approach to R&D and NPD. This is highlighted through recently opened regional application centers in Singapore [to address Asian markets], New Jersey [North American markets] and Sao Paolo [South American markets]. “This allows us to be in close contact with customers and consumers to fit their needs and thereby step away from a Euro-centric environment,” Boettger concludes.